… is on Thursday, May 24th at Baltimore Hebrew Congregation, starting at 9 am. This is a reminder to all members who would like to attend, our honoree will be long-time “secretaire extraordinaire” Jan Helper. 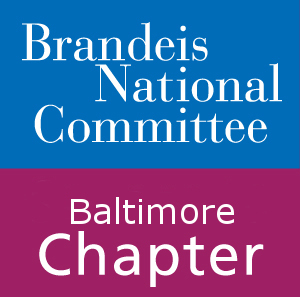 Send your check for $40 made out to “Federation of Jewish Women’s Organizations of Maryland” to Arlene Mazer and note that you would like to be seated with the Brandeis group and dietary restrictions, if any. For any questions or more information contact Ruth Casper or Roz Pearlman.